Tasov is another small village on Czech-Slovak borders. It's located near Strážnice, well known for its open-air museum and festival of folklore traditions. Tasov is one of those villages where it wasn't easy to live in - poor part of country on the slopes of White Carpathians where the most common way of living was agriculture. Most of the farmers here owned just a small piece of land, usually about 5 acres. 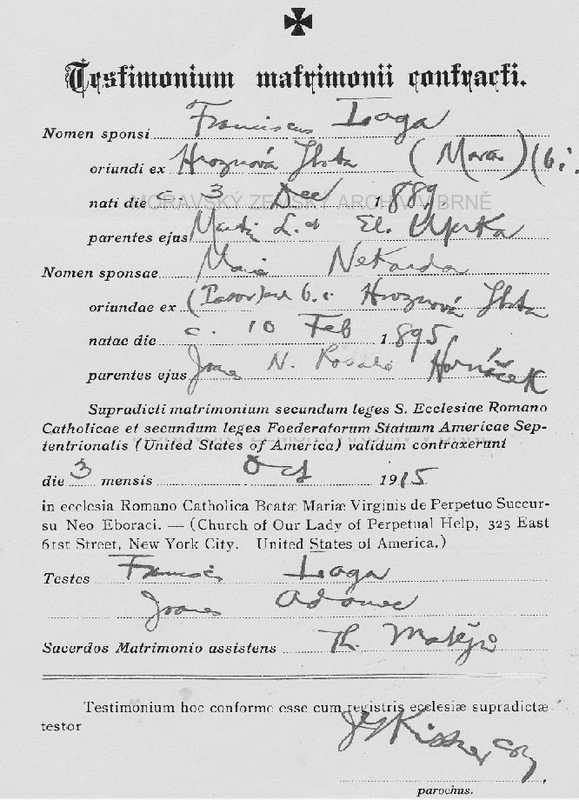 Many people from here left to find their happiness across the ocean - here are those whose birth record contain a note about their emgration. The timespan covered is between 1885 and 1900.